The Go Direct Energy Sensor quantifies the voltage, current, power, and energy output of small wind turbines and solar panels, such as those used in our KidWind Experiment Kits. It connects via Bluetooth® wireless technology or via USB to your device. Simpler to use than a multimeter, the Go Direct Energy Sensor measures the voltage and current oputput of a renewable energy system. 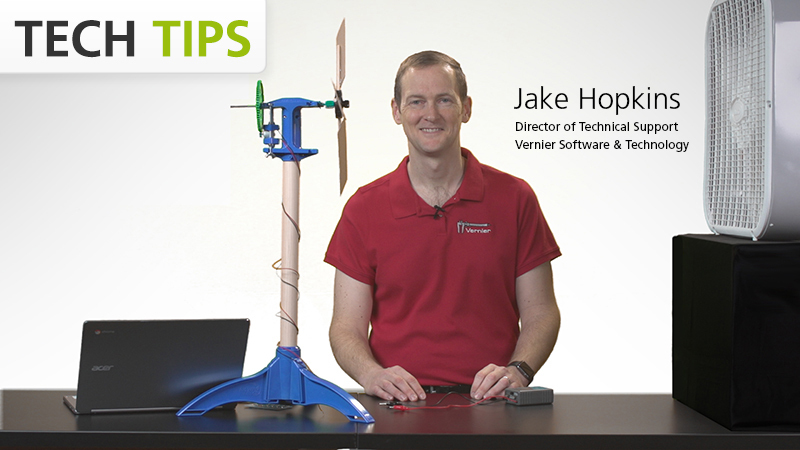 Connect a source, such as a small wind turbine or solar panel, and our free Graphical Analysis 4 app displays voltage, current, power, and energy output. For simple energy measurements, Go Direct Energy includes a fixed load of 30 Ω. For more advanced experiments, electrical contacts are built into the sensor to connect to an external load, such as the Variable Load, a resistor on Vernier Resistor Board, a water pump, or lights. Simpler to use than a multimeter, the Go Direct Energy Sensor measures the voltage and current of a renewable energy system. Connect a source, such as a small wind turbine or solar panel, and our free Graphical Analysis™ app displays the power and energy output.